Dr. Marko graduated in 1980 from Western University, not too far from her childhood home in Windsor Ontario. She earned her Doctor of Dental Surgery (DDS) making the Dean’s honour list. 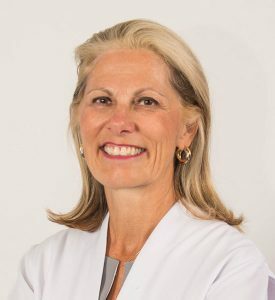 At her graduation, she was presented with several prestigious awards including the American Association of Endodontics Award, the Dr. George Bedrosian Award in Restorative Dentistry and the Mosby Book Award in Occlusion. In 1980, she chose Ottawa to start her career as an associate and within a year purchased the practice. After 33 years of ownership, she transitioned to focus on dentistry only and leaving running the business to others. She is very pleased to have joined Palladium Dental and to be able to work in the community she lives in. Dorothy strives to keep abreast of the latest in dental technology and techniques. She is passionate about providing you with the best care in a friendly environment. Dr. Marko is a member of the Canadian Dental Association, the Ontario Dental Association, the Ottawa Dental Society, the Ottawa Women Dentist Study Club. In her free time, you may find her cooking up a feast as she entertains family and friends. On a sunny day she’ll be gardening in her backyard or golfing. She and her husband Peter have been known to be adventurous travellers checking out many corners of the world.